This article is part of our special report European Accessibility Act. Technology can make “an enormous difference” for pupils with disabilities, offering them the same opportunities as other students, according to Tibor Navracsics, the European Commissioner for Education, Culture, Youth, and Sports. Speaking at the Policies and Technology Supporting Inclusive Education event organised in the European Parliament, the Hungarian Commissioner pointed out the significant role new technologies can play in integrating people in school. According to the European Commission, there are an estimated 45 million EU citizens of working age with a disability, and approximately 15 million children have special educational needs. “Learners with special needs are still sometimes placed in segregated educational institutions – or in mainstream educational settings, but with inadequate support,” the Hungarian Commissioner said. Following UN recommendations, the European Commission published proposals in December to bolster the accessibility of products and services in the EU for people with disabilities – the so-called European Accessibility Act. 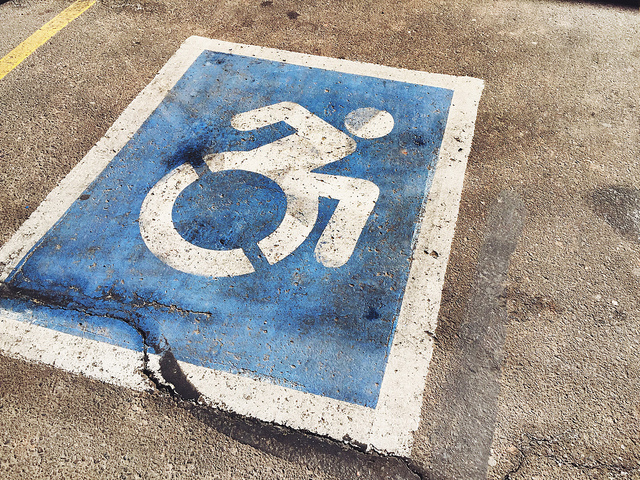 The draft European Accessibility Act seeks to bring together “fragmented” national laws while creating new rights enabling full access to services ranging from transport to cash dispensers. 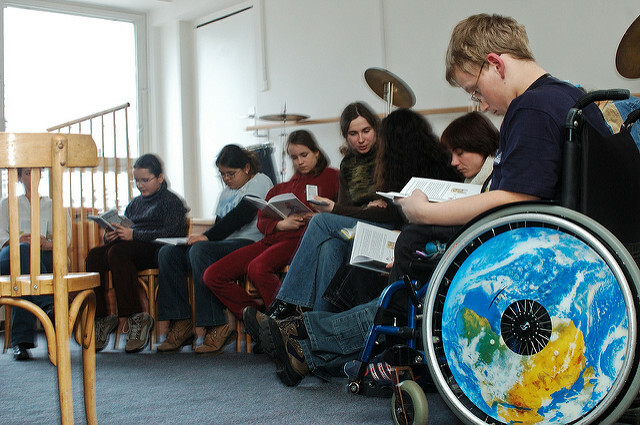 The EU was the first international organisation to ratify the UN Convention on the Rights of Persons with Disabilities. Article 24 provides a strong commitment to the principles and practice of inclusive education. The European Union as a whole is now accountable to the UN for the implementation of the Convention. In March 2015, several weeks after the Charlie Hebdo attacks, EU education ministers also adopted the Paris Declaration on citizenship and inclusive education, which aims to foster the education of disadvantaged children and young people, by ensuring that educational and training systems address their needs. According to Navracsics, technology can offer the extra push needed to make sure that deaf or blind pupils, for example, have the same access and opportunities as other students in the classroom, and later in society or in the workplace. New technologies are “unmatched vectors of integration for all, and especially for persons with disabilities,” he noted. The executive believes that schools are the best place to start a virtuous circle of integration. “Because this is our shared goal: to give a very concrete meaning to inclusion and make sure that persons with disabilities, and their families, are naturally integrated into mainstream schools and in our communities,” Navracsics said. “With the possibilities offered by new technologies, there are little reasons not to render school materials accessible for all,” the Hungarian Commissioner noted, emphasising that when all children, regardless of their differences, are educated together, everyone benefits. “At other times, indeed, it is much more complex. And this is precisely where new technologies can make, and already are making an enormous difference. Here, the key word is accessibility,” Navracsics added. The EU official also announced the executive’s plans to launch the “Erasmus Virtual Exchanges” aiming to bring young people from the EU and third countries together for online discussion. “We are supporting the creation of a network of role models for visits to schools, youth and sports clubs […] as of next year, they will meet and hopefully inspire young people from disadvantaged backgrounds,” the Commissioner explained. Speaking at the same conference, representatives from the tech industry argued that accessibility is a human right and that inclusive design was more efficient and economical. Speakers representing Microsoft, Apple and Samsung agreed that technology could play a critical role in fostering independent living, which can ensure dignity and empowerment for persons with disabilities. Hector Minto, Accessible Technology senior expert at Microsoft, said that accessibility starts from the design stage, which means that people with disabilities can create, design or programme these technologies. Minto stressed that people with disabilities were part of the design process at Microsoft and create the products themselves. “We employ blind programmers and coders in Microsoft as well as people with autism. We realise the neurodiversity skills they have and this is equally important that we make the building blocks for these tools accessible as well,” he said, adding that education is also important in order to adapt to fast-evolving evolving technology. Referring to cloud sharing, Minto said it was an “exciting idea”. “The tools for learning no longer remain in the school or in the classroom. They are going home,” the Microsoft technologist emphasised. Minto also stressed that as people moved into mainstream schools, we have to make sure that the skills that existed within the special schools are taught out into the mainstream schools. “Inclusive education is not only about teachers and pupils, but also integrating technology in a given environment in which all obstacles and barriers can be torn down. Perhaps in some cases it is expensive […] But what can be more important than? What can be a better investment in a sustainable society in which lifelong learning is not a luxury but necessity?” he wondered. Catherine Naughton, director of the European Disability Forum (EDF), stressed that all the EU members had ratified the UN Convention except for Ireland. According to statistics, 80 million EU citizens are affected by some kind of disability, a number which is projected to increase to 120 million by 2020 considering the rising elderly population. In a Eurobarometer study, almost three in ten Europeans (29%) stressed that they or someone in their household had a longstanding illness or health problem, which has lasted, or was expected to last, for 6 months or more. The highest numbers were recorded in Poland (44%), Estonia (42%), Hungary (41%), Finland (39%) and Malta (38%). In addition, the vast majority of respondents (97%) underlined that people with disabilities should be integral part of the society like people without disabilities. For instance, persons with disabilities should have the opportunity to go to school, get employed, access shops and supermarkets etc. 86% of Europeans agree that having similar accessibility solutions across Europe would enable them to travel, study and work in another EU country. Countries with the highest level of agreement with this statement are Malta (96%), Italy (94%), Ireland (93%), Lithuania (92%) and Greece (92%).